Fitness: Are you Ready for the 11 Weeks to Move it and Lose it Challenge? We are into the second week of the New Year and if you made a resolution to focus on your health and to lose weight, it is not too late. Since you have decided that you are ready to begin the journey of weight loss and you are ready to tackle this endeavor, it is very helpful to have a team of experts ready and able to help you. 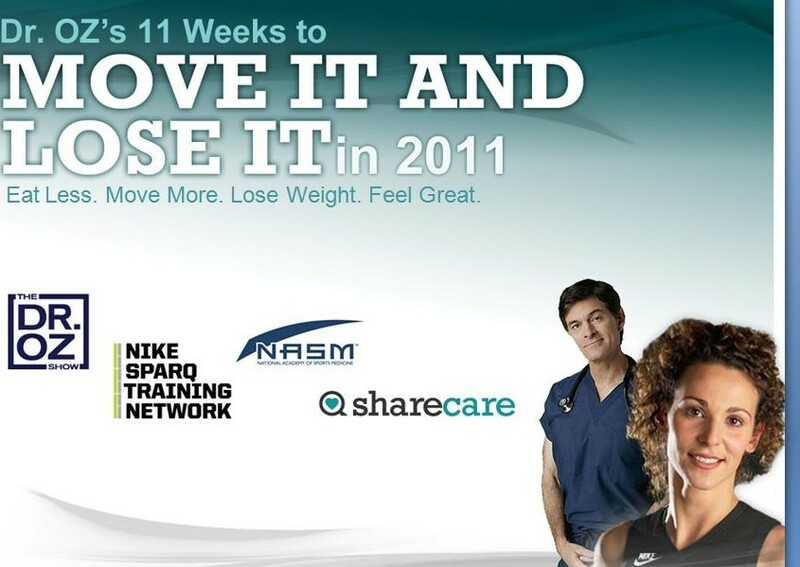 Dr. Mehmet Oz, my colleague at Sharecare and The Huffington Post, [Full Disclosure: I am on the Editorial Advisory Board and Consumer Health Educator at Sharecare] has teamed up with Sharecare , Nike SPARQ Training Network and National Academy of Sports Medicine (NASM) to offer for free an “11 Weeks to Move it and Lose It” fit for life program. This revolutionary 11 week diet and fitness plan has an elite team of experts including nutritionists and trainers to help motivate you. This interactive online program offers information to help you achieve your goals. Your team of pros and support from the weight-loss community will help guide you. Learn to set realistic goals, plan meals and track your weight. Dr. Oz talked with Robin Roberts on Good Morning America about this exciting “11 Weeks to Move it and Lose It” challenge. Oz says that to get in shape you need counseling from a nutritionist and a fitness trainer and he recognizes that can be difficult to do because of the expense. So Dr. Oz teamed up with Nike and Sharecare and they are giving (for free) expert advice and support through an online community to help you achieve your goals. “You gotta show up in your own life to make this happen,” says Dr. Oz and he adds, be very specific, concrete and realistic with your goals. Don’t be vague, it won’t work. 1. Know your BMI. Calculate it on paper or with this chart. 2. Write down what you’re doing in your life. Chart it to keep track and note your progress. 3. Grab a buddy, a partner someone to help motivate you. Support is critical. 4. Exercising for 30 minutes per day is essential for staying healthy and getting in shape. You can get started with a team of experts by registering here. Learn more about Sharecare here. See who is on the Editorial Advisory Board and you can find featured experts here. Here is your chance to keep that New Year’s resolution with the help of a team of experts. If you are interested, click this link to enroll for your chance to help change your life. We would love to hear from you. 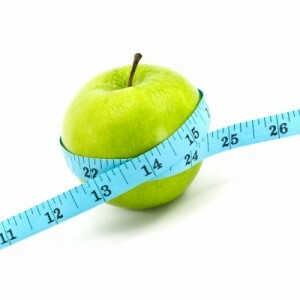 Is losing weight your resolution? How are you achieving it? Are you involved in a support group? Are you looking for help from the experts? Are you already involved with the “11 Weeks to Move it and Lose it” challenge? Join the conversation below. We would love to hear your thoughtful insights and tips. As always, thank you for your time. You can follow Barbara on Twitter. This is a great effort to help promote fitness. I hope it does well.